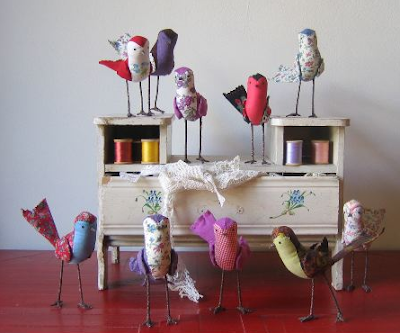 I’ve always loved these little birds by Ann Wood. they are so simple and sweet. Ann has announced that she will have all of these cuties, from this picture, for sale tomorrow, October 30 at 2pm EST, in her etsy shop. if you’ve got your eyes on one of these little guys, jump on etsy quick tomorrow, as they always sell out super fast. yea, they were gone like 15 minutes after she posted them online. they’re hot! How much do they go for anyway? I think they are about $50, if I remember correctly.